There is an epidemic invading our society today. It is one that is hard for most people to recognise and diagnose. Those that have overcome or have been cured of this disease see it everywhere they go, as it has infected a large majority of people in our western culture, right into the very business arena. In property management, this illness also has not eluded us! I meet a lot of property managers throughout the country. It is the main factor that keeps property managers contained from their full potential for success. I believe it is THE greatest problem in our property management industry today. The small poppy syndrome is defined simply as ‘small’ thinking. It is thinking that is fuelled by attitudes and values that surround us in our world. It is the ‘it’ll be OK attitude’! It is the ‘near enough is good enough’ culture! It is the ‘just do what everyone else is doing’ mindset! They are attitudes and values that keep people under a lid of restraint, restricted and protected within well-fortified comfort zones. It is a stronghold that keeps property managers underachieving and never grew to a new level of fulfilment. Small thinkers are everywhere. They pull down to their level others that are trying to achieve, those that want to improve and change. To turn the great back to average, excellent to good, hot to lukewarm. 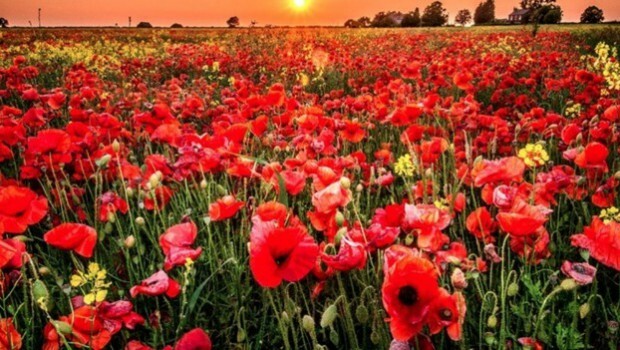 However Big Thinkers are those that have broken away from the Small Poppy Syndrome. They recognise what causes small thinking and are always looking at ways to develop and improve to new and greater levels of success. Small Thinkers will always criticise ideas- Big Thinkers germinate new ones! Small Thinkers are limited by their excuses- Big Thinkers are limited only by their imagination! Small Thinkers emphasise the problem- Big Thinkers seek out and create the solution! Small Thinkers embrace the ‘status quo’- Big Thinkers embrace a constant need for change! Big Thinkers Make things Happen! Big Thinkers are the ones that make things happen! They are optimistic. They are the ones with dreams and goals and then go and achieve them! They are the ones that accomplish that which has not been attempted before. They are the pioneers that break new ground and new markets! You can be cured…but it requires effort! Firstly, you must realise that there is a need for change. Without this, change cannot start. Secondly, be mentored by others that are successful. Associate with those that are at the level you wish to achieve. Next, start a self-development programme. Consume lots of good personal development books. If you have no time to read, get these books on audio CD and listen to them in your car between appointments Selecting books that will fill your mind with the tools of change, over-riding small thinking patterns and introduce new ones that will drive you to a new level. Set goals from the substance of your dreams- where you want to be! What do you want to achieve- what level do you want to move to? Finally, persistence and consistency will produce success and results. Never give up! Develop an attitude of a constant need for improvement! Don’t be satisfied with the way things are now! Never accept the ‘status quo’! You will know you are growing when you start to see others with a small poppy mentality. You may even receive some criticism from your new ideas. Smile and know that a change for good is taking place! Big Thinkers are the ones that get things done!